The colourful remains of the former copper mine Parys Mountain near Amlwch on the Isle of Anglesey, Wales, UK. 4k00:23The colourful remains of the former copper mine Parys Mountain near Amlwch on the Isle of Anglesey, Wales, UK. 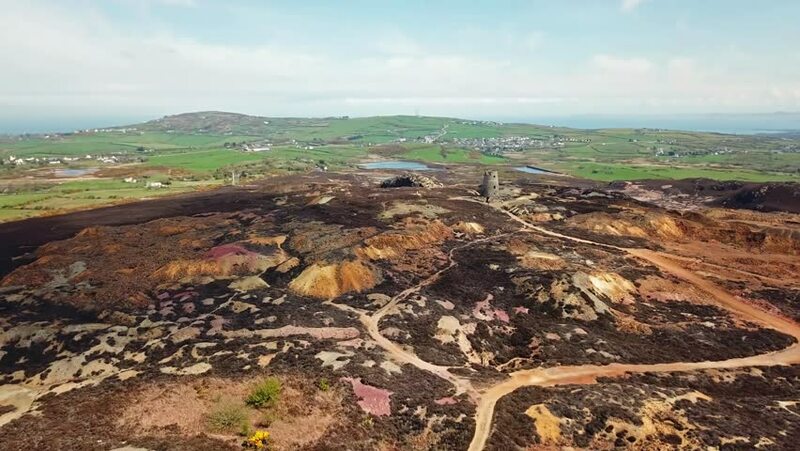 4k00:41The colourful remains of the former copper mine Parys Mountain near Amlwch on the Isle of Anglesey, Wales, UK. 4k00:12Saint Gabriel's Church viewpoint surrounding landscape, Vila Nova de Foz Coa, Portugal. 4k00:34Aerial, German Quarry - Graded Version. Graded and stabilized version. Watch also for the native material, straight out of the camera.